Our range of products include jasmine flowers gel pack, garlands ice packs, ice flower packs, flowers ice packs and rose ice packs. 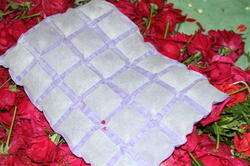 To uplift the freshness of the flower, we offer Jasmine Flowers Gel Pack. These gel pack well to preserve the fragrance of the flower. Flexible refrigeration cold packs & Nontoxic used for safe transportation of temperature sensitive products which We are one the manufacture of Jasmine Flowers ice packs these Gel packs have a high cold retention capacity as compared to wet or dry ice. These are long-lasting and economical providing superior protection for temperature sensitive material. This is best used for transport of jasmine flowers & fresh foods, truffles, fish, seafood, meat, fruit, flowers, etc. 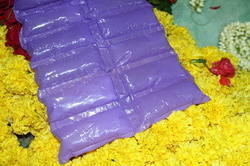 To increase the life of flowers, we provide our clients with Garlands Ice Packs. The ice does not easily melt keep the garland fresh.We offer to our clients best quality of gel ice flex packs in Singapore which is a food grade plastic. Refrigerant Gel is liquid and the frozen GEL packs still used for shipping of flower Garlands & vegetables other than consumable medicines which need two to eight-degree centigrade. These pouches are non-toxic; eco-friendly safe to the human body can simply absorb a significant quantity of heat, as its exact cool ability is superior. Extensively used as cold sequence manufactured goods. It gives break in the hurting of slight injuries, or in a cool box to stay the manufactured goods always cool during shipping. We offer in different sizes as required by the clients in Singapore. 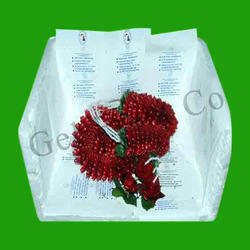 To keep up the freshness of flowers, we offer Ice Flower Packs. The ice is made integrating in such manner which increases its melting temperature. Extensively used as cold sequence manufactured goods in Singapore. It gives break in the hurting of slight injuries, or in a cool box to stay the manufactured goods always cool during shipping. We offer in different sizes as required by the client. 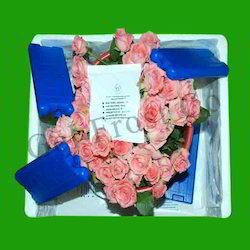 To meet the varied requirements, we are involved in the offering of Flowers Ice Packs. These packs keep the temperature optimum and enhance the endurance level of the flowers. These ice packs are available in different packaging. 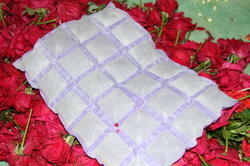 We are involved in providing of Rose Ice Packs. The ice in the packs is made which increases in the life and also ice packs remain long with the rose.